What is the "Ebook Format"? Have you ever heard of the "curse of knowledge" before? It is the idea that because you know something, you assume other people do as well. As an academic and professor, this is especially problematic for me in areas where I teach because I often falsely assume that my students know all the basics, and I focus on teaching the more advanced ideas when in reality, the students don't know the basics. I don't want to make the same mistake here. Allow me to answer the basic, but very important question, "what is the ebook format?" I could say that the ebook format is the format used by ebooks, but that would be as helpful as saying that gurflunkel's pipitoowin is a pipitoowin that belongs to a gurflunkel. By now, if you are reading this, you almost certainly have used a mobile device to access content over the Internet. You may or may not have noticed that when you use mobile websites or apps instead of websites, the content looks very different. On a mobile device, the content is easily readable, it is easy to navigate, and easy to interact with the data (i.e., pressing buttons, filling out forms, selecting options, etc.). In order to give the user a good experience, developers need to make some changes to their website. Now, imagine that an author is like a website owner, and the author's book (let's say in PDF format or a Word Document) is like his or her website. Those reading the book with the right software on a desktop computer should interact with the book just fine. But what about those accessing the book on a mobile device? A Kindle? An iPad? Or one of the hundreds of other non-desktop computer devices? The book would need to be in ebook format—it would need to be converted into a document type specific for the device on which it is being read. This means that the reader will be able to customize his or her reading experience by changing the font, font size, background color, and perhaps even having the book read to them using a human-sounding computer voice. This is only possible if the author's book is converted into ebook format. Converting your book into ebook format means trade offs. You don't have the kind of control you have compared to a print book or even a PDF ebook. These trade offs are very important for you, the author, to understand. We have created a free ebook for you to download that goes over this conversion process in detail and what to expect when your book is converted into ebook format. 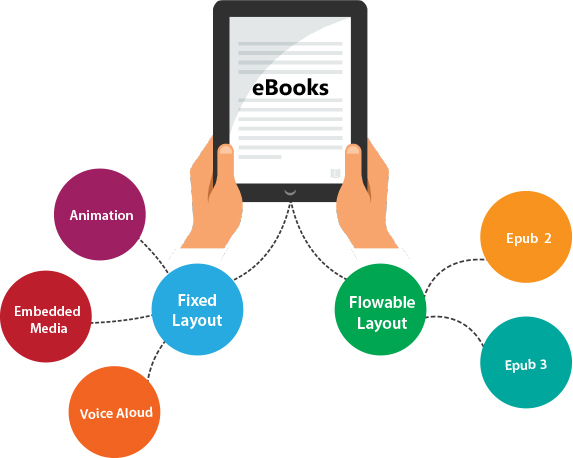 When you are ready to convert or publish your ebook, please consider us, eBookIt.com!